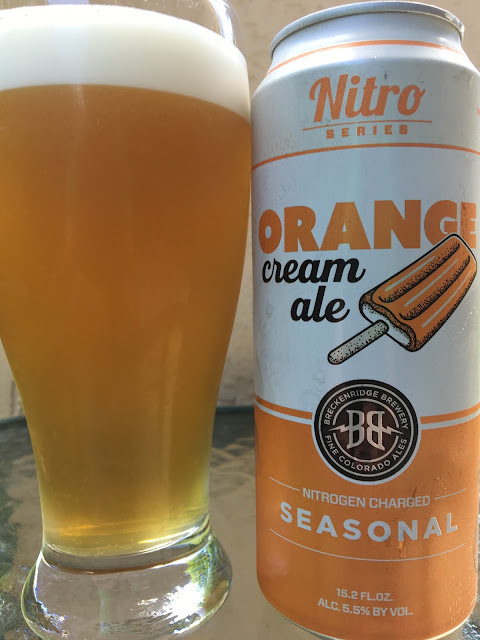 A Pounder Can of Breckenridge Nitro Series Orange Cream Ale? Yes please! Actually the can is 15.2 oz, probably because the nitro thingy needed some of the volume. 5.5% alcohol. Best By 09/29/17. Nice cascade on the pour. 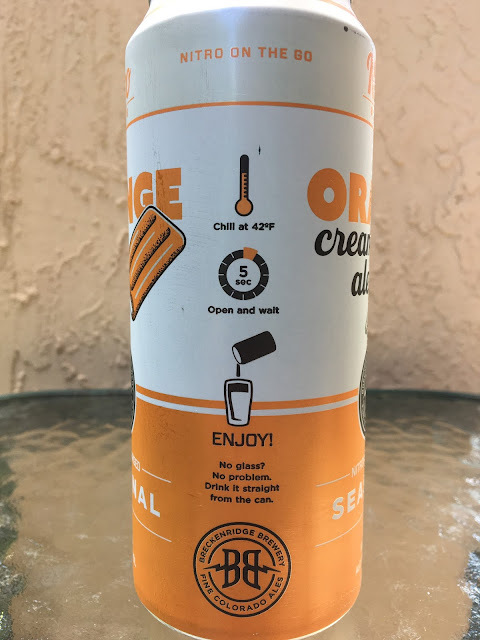 Orange and vanilla aroma. Super creamy. Orange, citrus, tang. Nice sweetness but not too much. After the orange fades after each sip, there's a little off flavor that lingers, metallic or cardboard. Didn't love that. Was OK.